Been first time to baku, and found the host really welcoming and the accommodation is very nice in terms of a holiday. Nearby markets and grocery. Everything well maintained. Appartment having two big rooms and kitchen with all the cooking facilities. 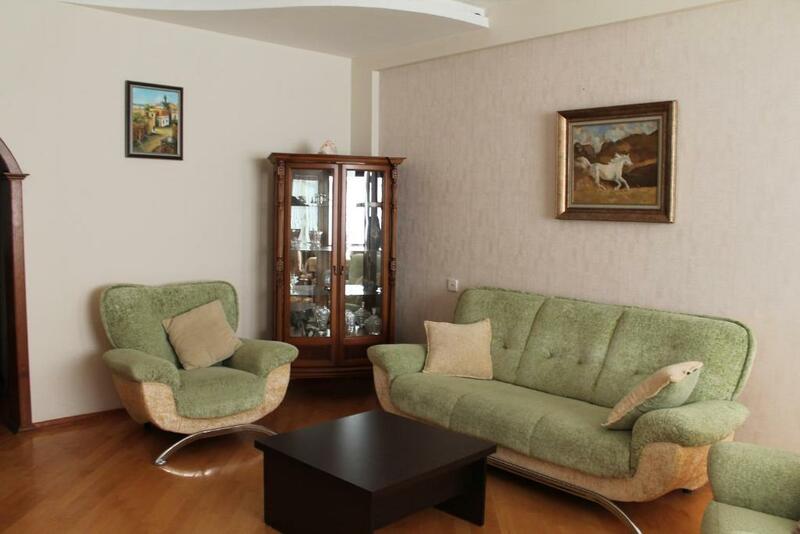 The apartment was big with 2 bathrooms, its clean with nice design.The location was fantastic, its located in street name Aga Neimatulla which is very beautiful street.You can find all what you want in it.There is resturants, shops, markets and everythings. Kitchen have everythings including microwive. I like the location so much. The owner was cooperative and when I called him he came quickly. A big and convenient apartment at 10th floor with a full equipped kitchen..It has 2 bathrooms , 4 air conditions and 3 balconies!!! It is not at city center but every thing is near..such as restaurants..supermarkets..shops(Metro park)..etc Metro station is 10-12 min on foot Staffs were kind.. The cost and..Every thing was perfect.. 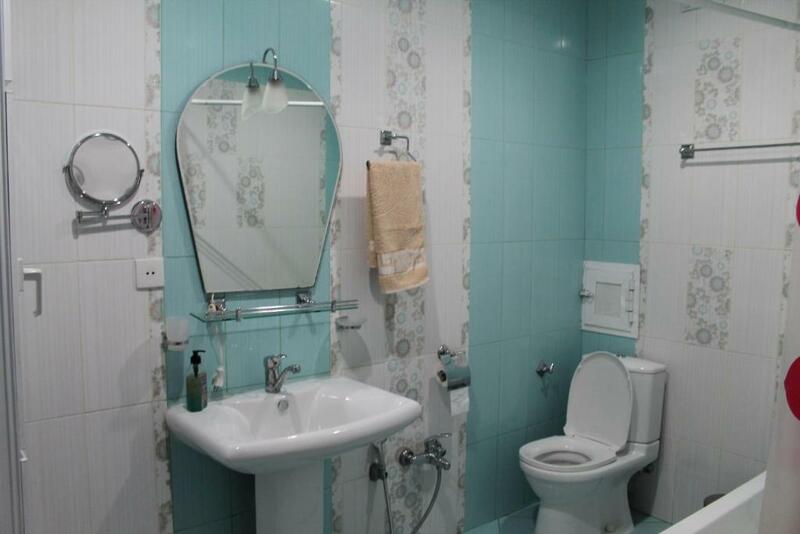 The apartment was big with 2 bathroom, its clean and nice design. The location was fantastic , its located in street named Aga Neimatulla which is very beatiful street, you can find all you want in it. There is resturant, shops, market and everything. Kitchen have every thing including microwive. I like the location so much. The owner is cooperative and when I called him he came quickly. Прекрасное расположение, чисто, просторно, очень вежливый и приятный хозяин, всем рекомендую! Большая квартира недалеко от центра города,приветливый хозяин,отличные комнаты и удобства. Все понравилось,спасибо! Просторность квартиры,расположение в доме(2этаж),отличный WiFi,3 сплит-системы,шикарная ванная комната,рядом много магазинов,метро-всё это очень порадовало! Квартира большая, чистая, до метро мин 15 пешком. Хозяин квартиры очень хороший человек, нас встретили в 4 утра, довезли до квартиры , заселили, без проблем. И в обратную сторону нас отвезли в аэропорт. Минусов не нашла. 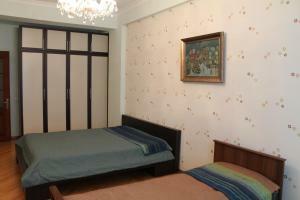 Lock in a great price for On Aga Neimatulla Street Apartment – rated 9.1 by recent guests! On Aga Neimatulla Street Apartment This rating is a reflection of how the property compares to the industry standard when it comes to price, facilities and services available. It's based on a self-evaluation by the property. Use this rating to help choose your stay! One of our best sellers in Baku! Located in Baku, a 10-minute walk to Nariman Narimanov Metro Station, On Aga Neimatulla Street Apartment offers self-catering accommodations with free WiFi. The comfortable apartment is air conditoned and has a balcony. Guests can cook in the fully equipped kitchen with a stove, microwave and dishwasher. A washing machine is available. Cafes are a 5-minute walk from On Aga Neimatulla Street Apartment. Tofik Bakhramov Stadium is 1.2 mi away. Baku Train Station is 2.5 mi from the apartment. Heydar Aliyev International Airport is 15 mi away. 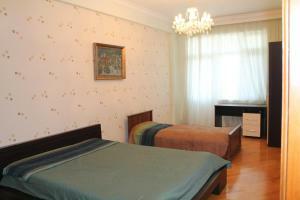 When would you like to stay at On Aga Neimatulla Street Apartment? This air-conditioned apartment has a balcony and cable TV. The kicthen is equipped with a stove, microwave, fridge and dishwasher. The bathroom comes with a bath or shower. 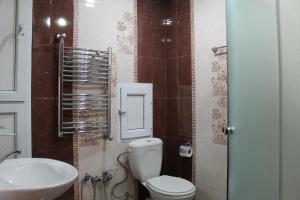 House Rules On Aga Neimatulla Street Apartment takes special requests – add in the next step! Please inform On Aga Neimatulla Street Apartment of your expected arrival time in advance. You can use the Special Requests box when booking, or contact the property directly using the contact details in your confirmation. We rented two apartments. Once we reach there we were told that one washroom in one of the apartment was not operational. The guys were not cooperative at all and once I objected they told us to leave the apartments and that they didn’t want to rent these to us. They were exploited our situation and we had to accept it on no choice basis. We then found out that most of the equipment was either not working or damaged. Water leaking in another washroom, shower broken in one washroom, most of the lights were not operational, etc. They committed that elevators are available for both apartments while we found out that one of the apartment on 2nd Floor has only access through stairs. We had to readjust all the guests as elderly could not use the stairs. These apartments are overrated and the owners are worst of a kind we found in Azerbaijan. I believe they are thieves and blackmailers. Appartment lift was horrible and it's very dangerous.The main problem to stay in this appartment is their is no cleaning services.They handover clean appartment to guest at the time of check-in after that it's guest responsibility to clean the appartment.I stay there four days and no one came to change the bedsheets or clean the appartment.The bed mattress condition are very bad with big stains. Bed rooms lights are very dim as majority of the bulbs are fused. Dignified treatment and nice and clean apartment. commodious rooms and facialized kitchen. The kitchen items need to be re-newed and bed sheets too. Mattres was not very comportable. Enterance of bulding is not nice and the lift was very slow. With all of above, I liked this apartment and in general its has a good price regarding the stay. The kitchen items need to be re-newed and bed sheets too. Mattres was not very comfortable. Enterance of buliding is not nice and the lift is very slow. 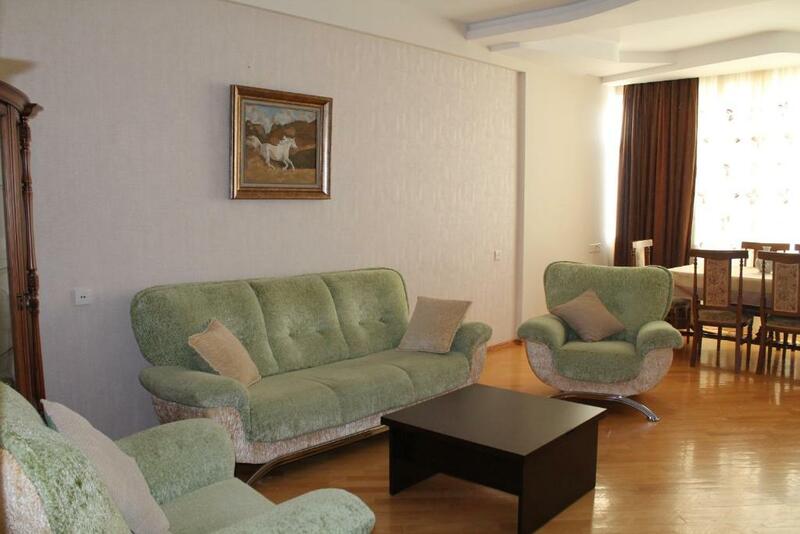 With all of above, I liked this apartment and in general its has a good price regarding the stay.